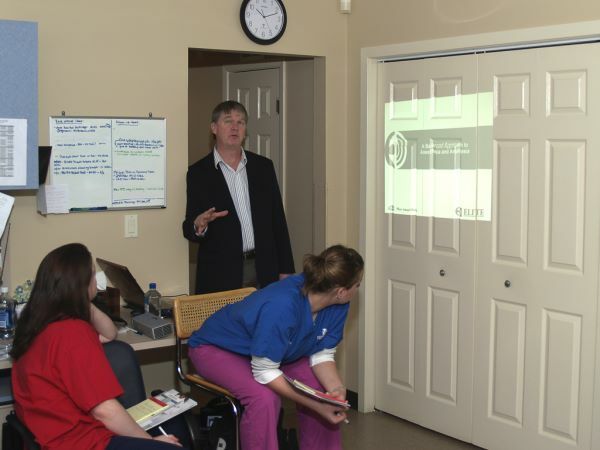 Dr. Ken Leal led a clinic round on the subject of anesthesiology and pain management at Greenwood Lake Animal Hospital. “Staying abreast of new trends and medications demands on-going training and education. We offer our staff the opportunity to improve their technical skills both on-site and at off-site professional conferences,” said Dr. Eric Louer. 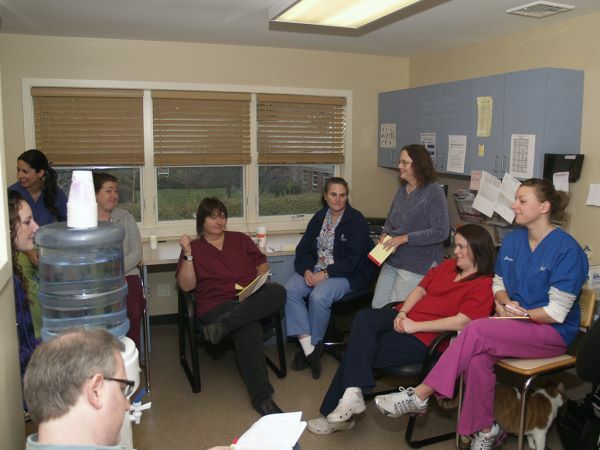 To fulfill their commitment to excellence in patient care and customer service, Greenwood Lake Animal Hospital has begun offering clinical rounds in the fields of surgery, dentistry, dermatology, emergency and critical care, internal medicine, nutrition, senior wellness care and infectious diseases for its veterinary and technical staff.